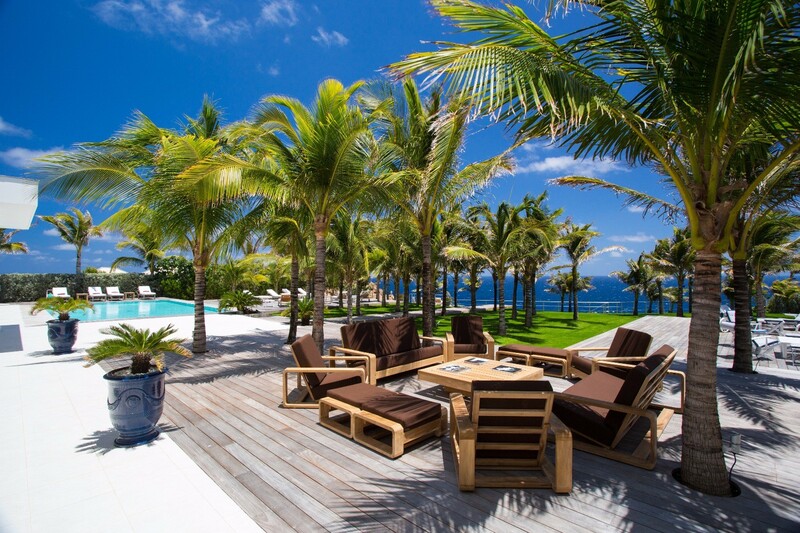 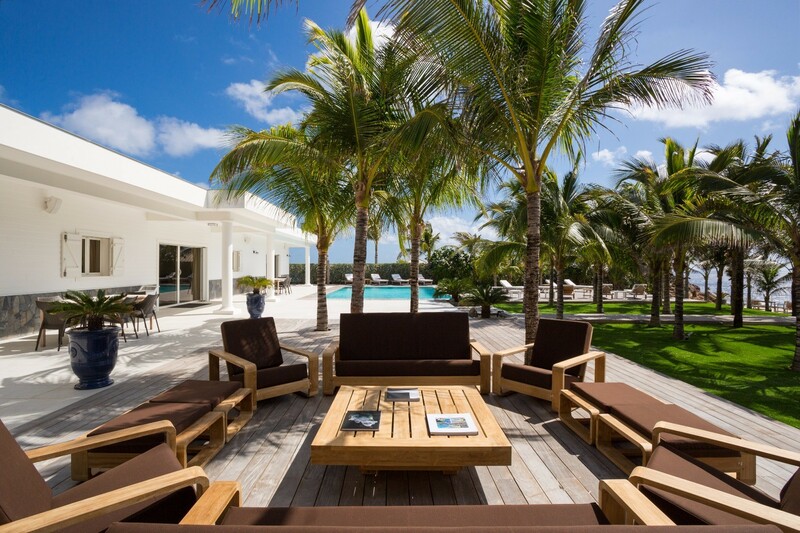 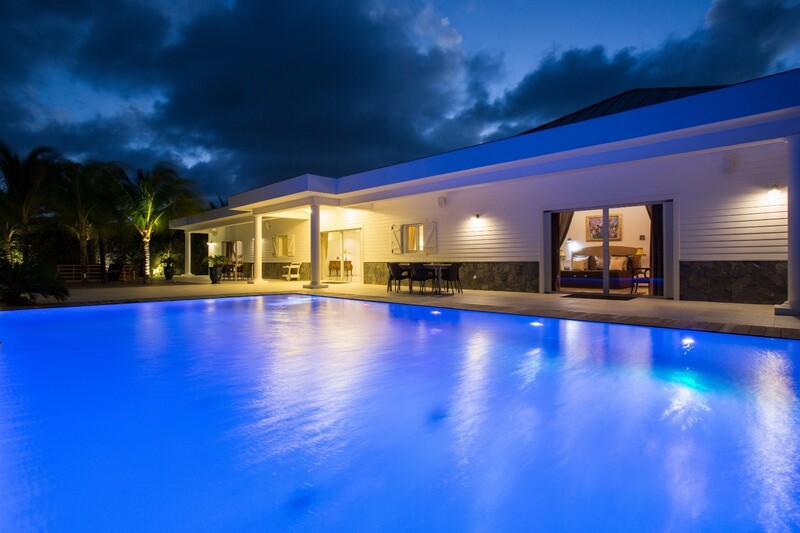 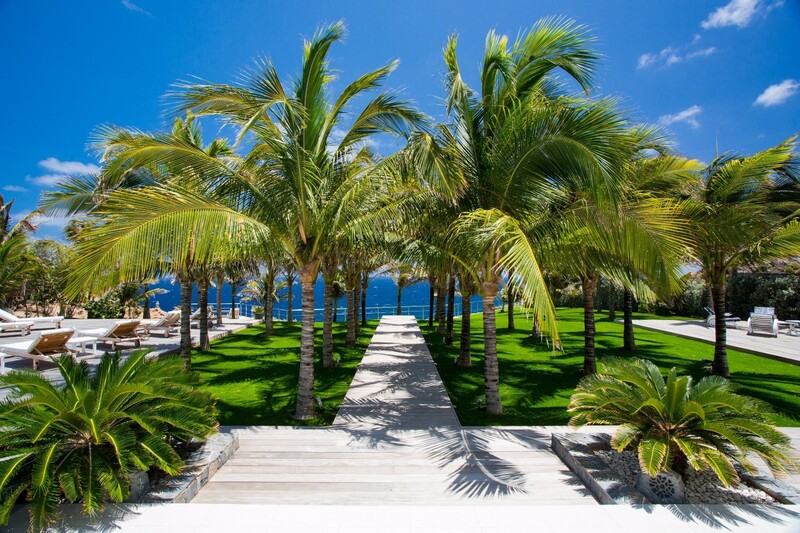 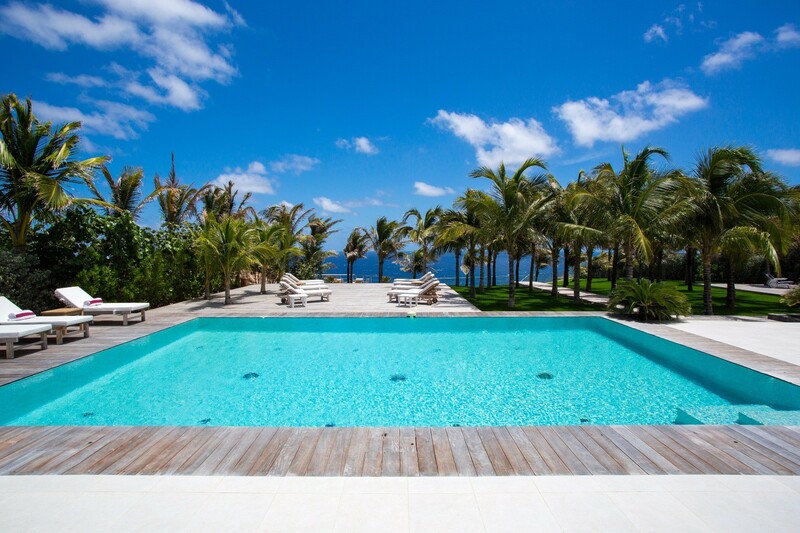 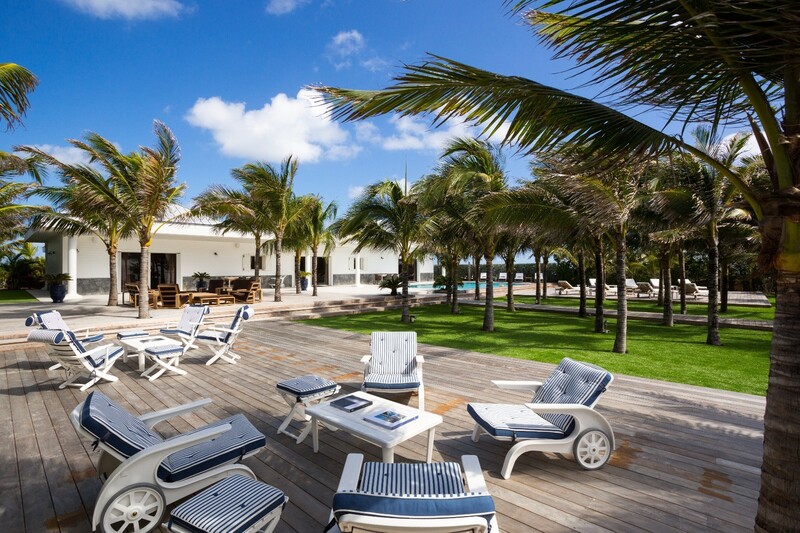 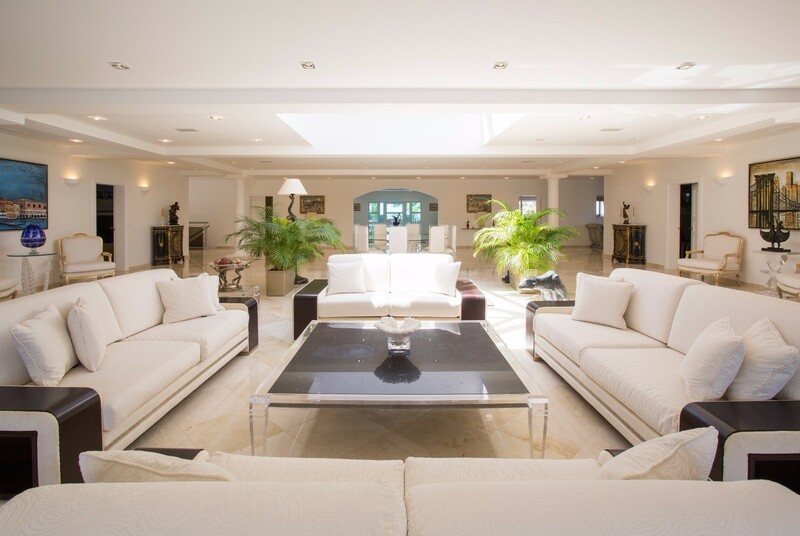 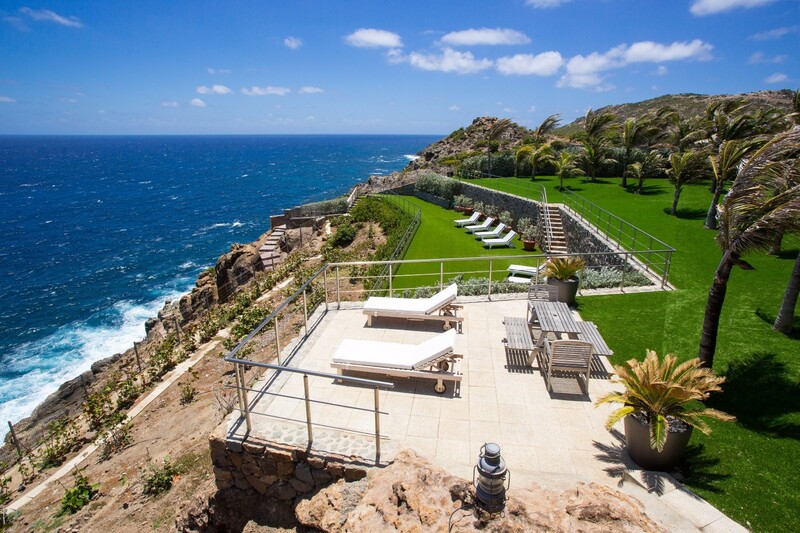 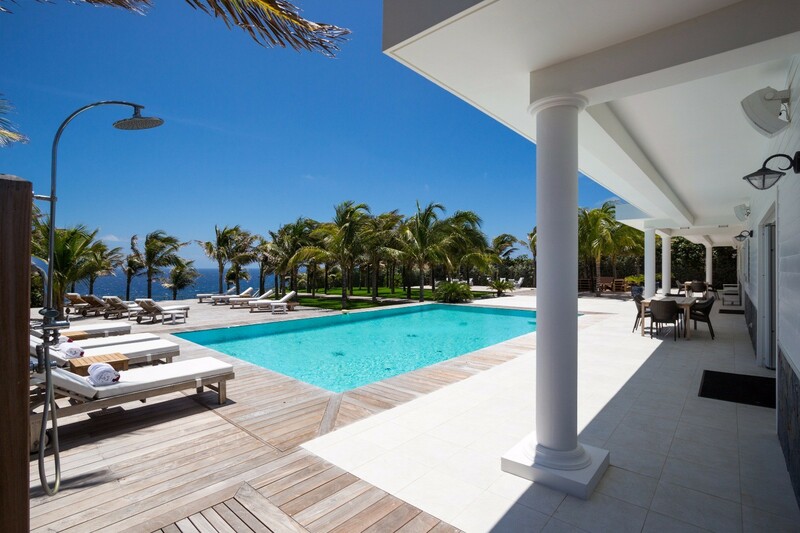 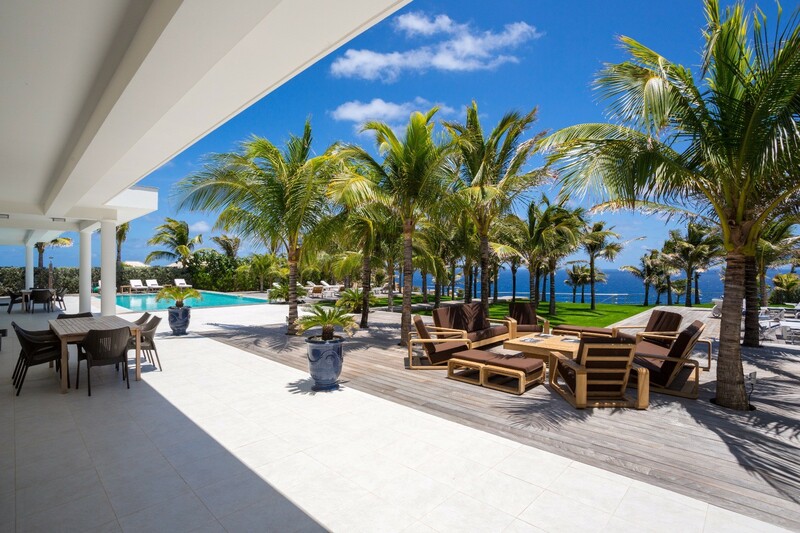 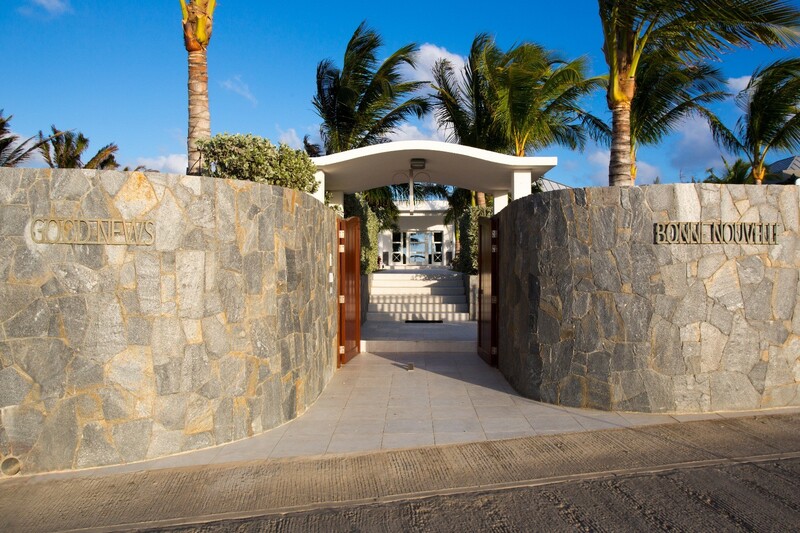 There is only good news when you learn more about the Villa Good News in St. Barts. 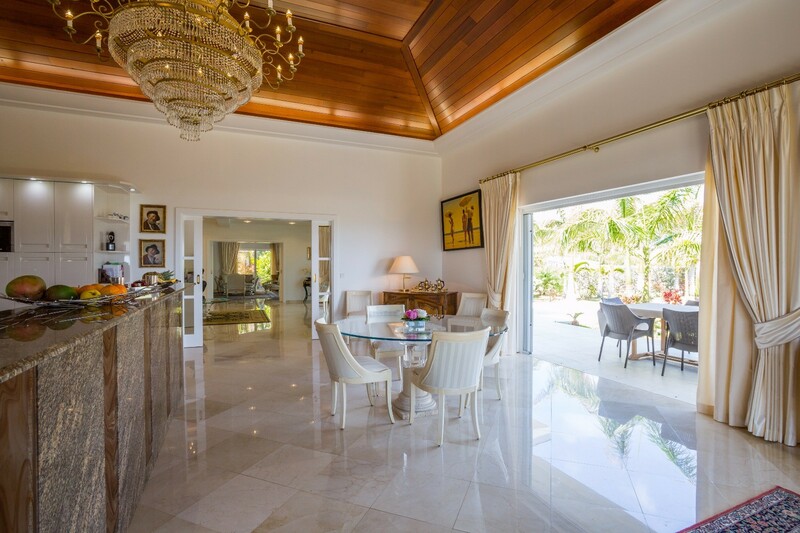 Sitting along the water in Petit Cul de Sac, it provides visitors with an estate-like setting that includes enormous gardens, mature groves of palms, and countless outdoor living spaces. 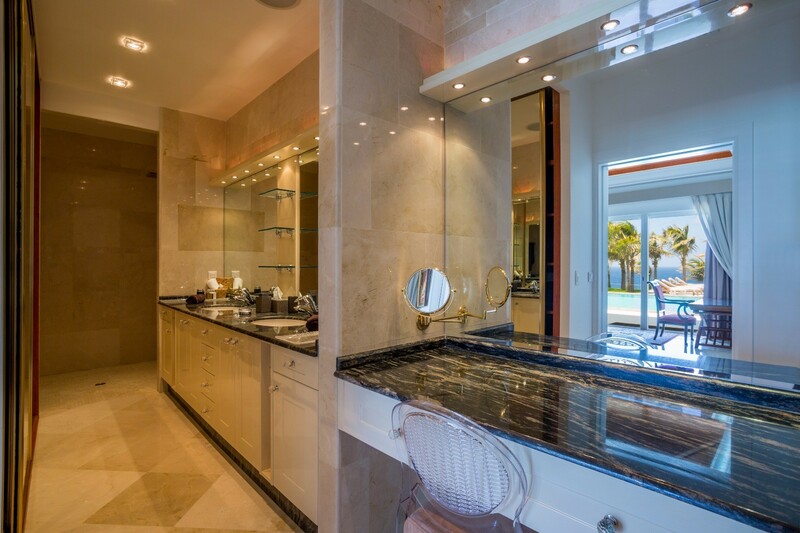 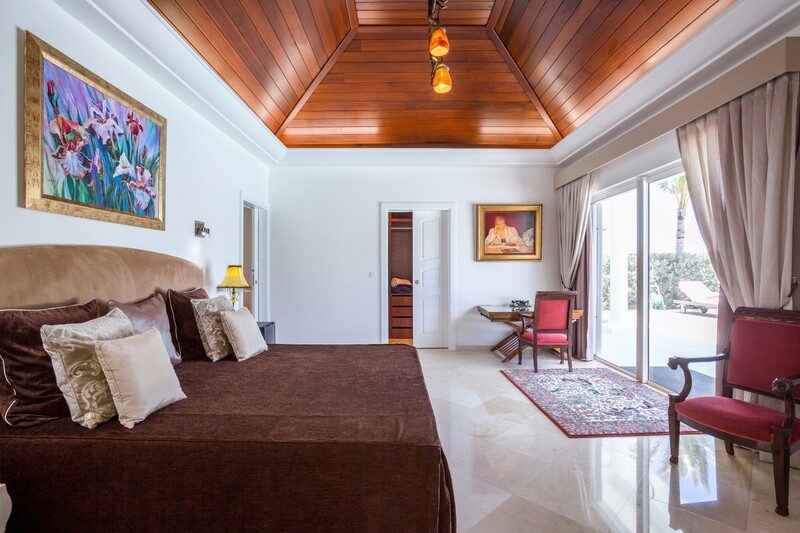 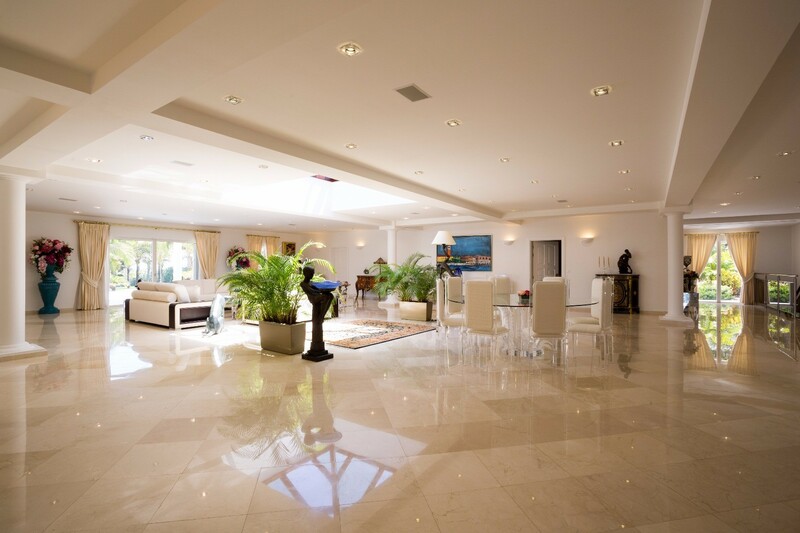 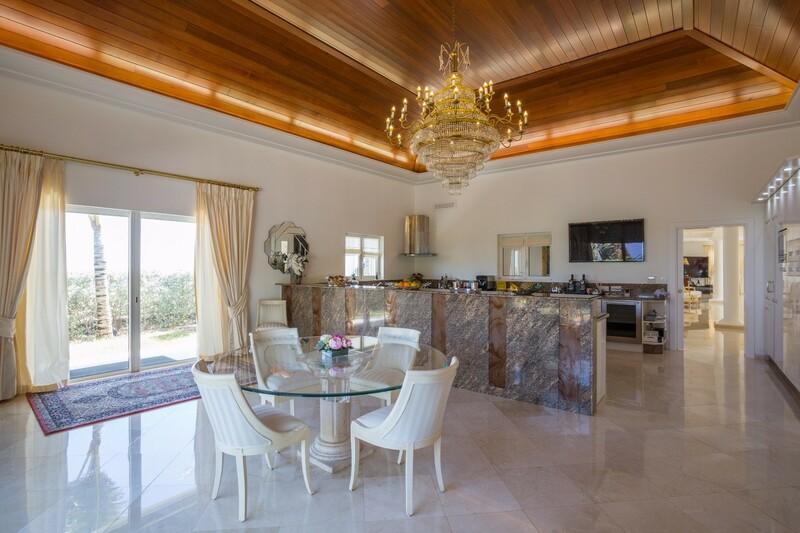 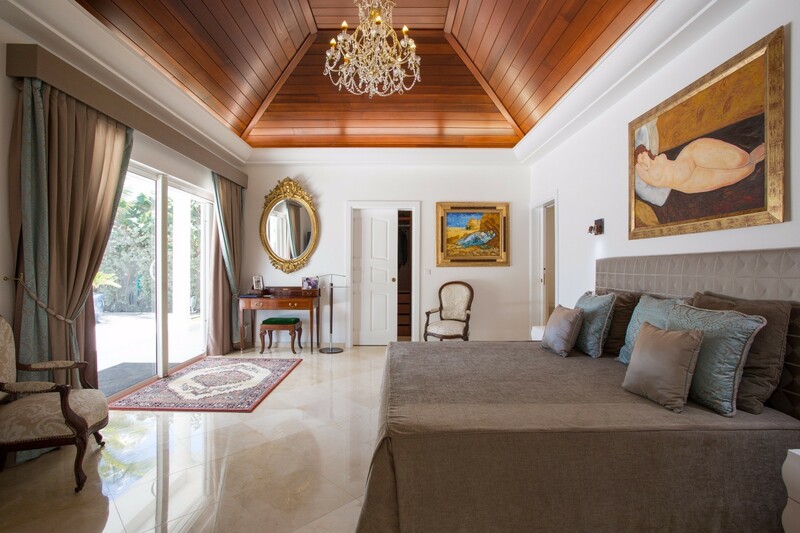 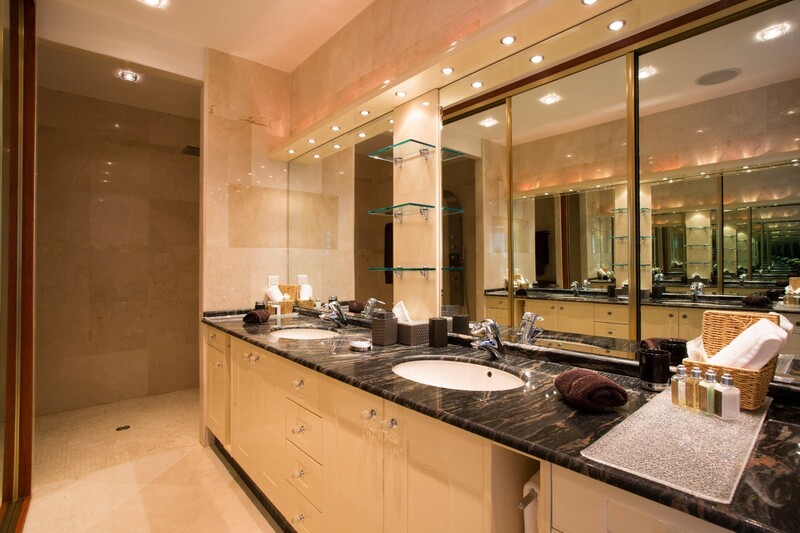 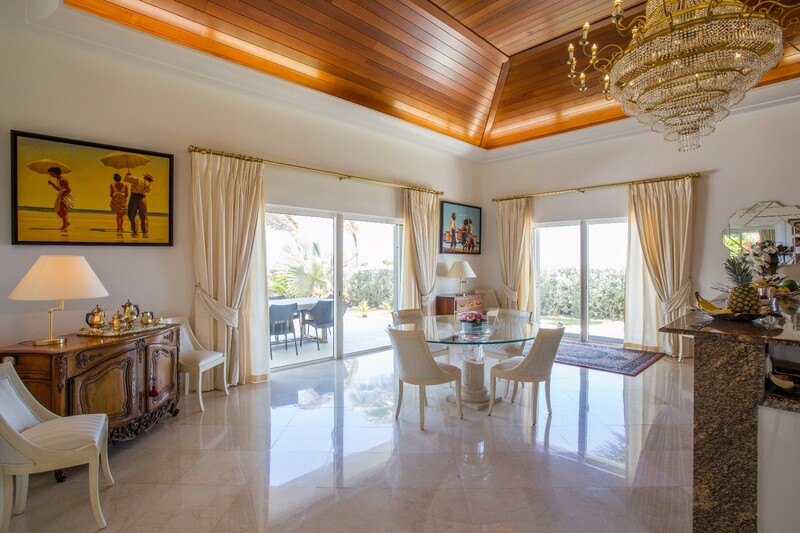 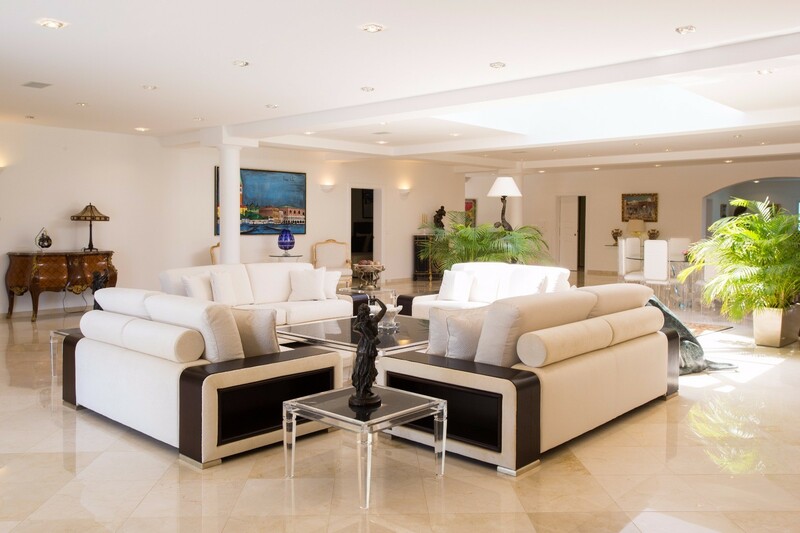 The four-bedroom villa is also a masterpiece of interior design, taking its cues from classic French décor, and using a blend of neutral hues, marble, gold and darker colors to create rich accents. 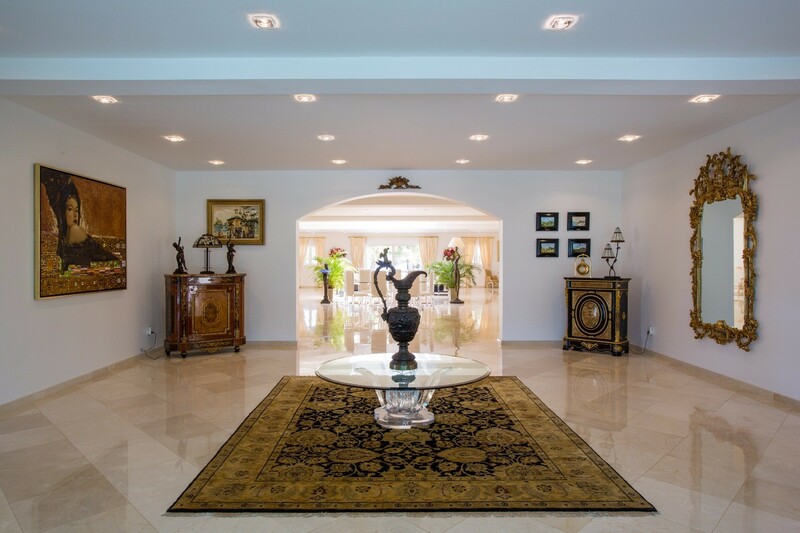 You notice this the moment you enter the foyer. 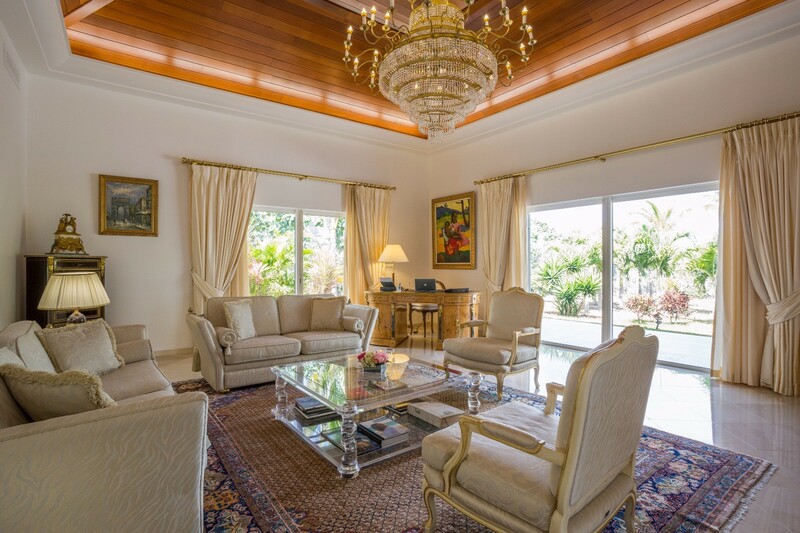 It is an enormous space with cool marble floors, creamy walls, and accents that include enormous paintings, rich Persian rugs, and darkly colored furnishings that create a perfectly luxurious scene. 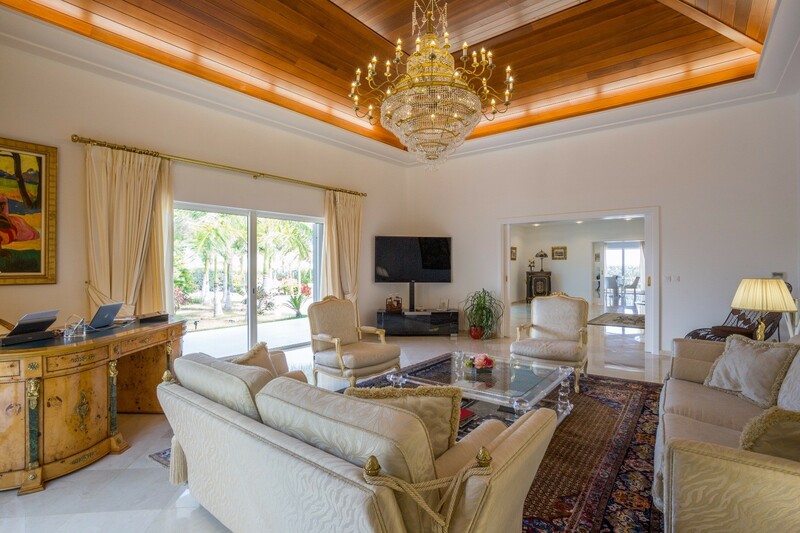 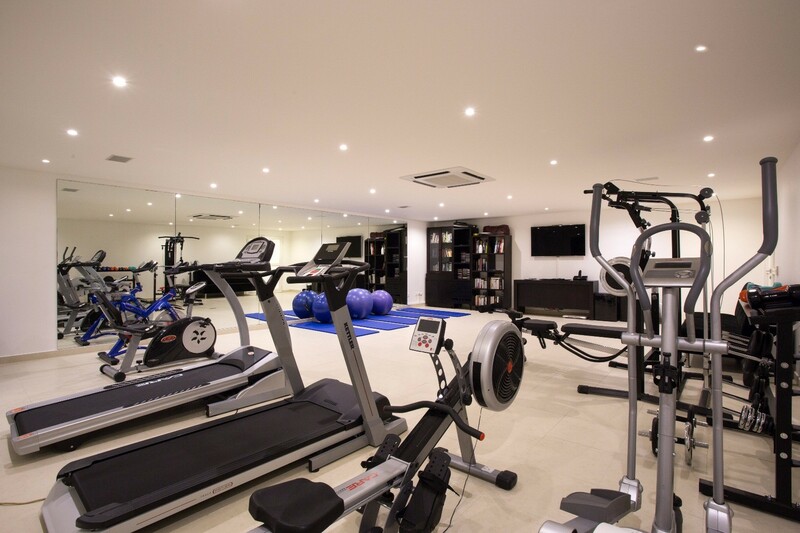 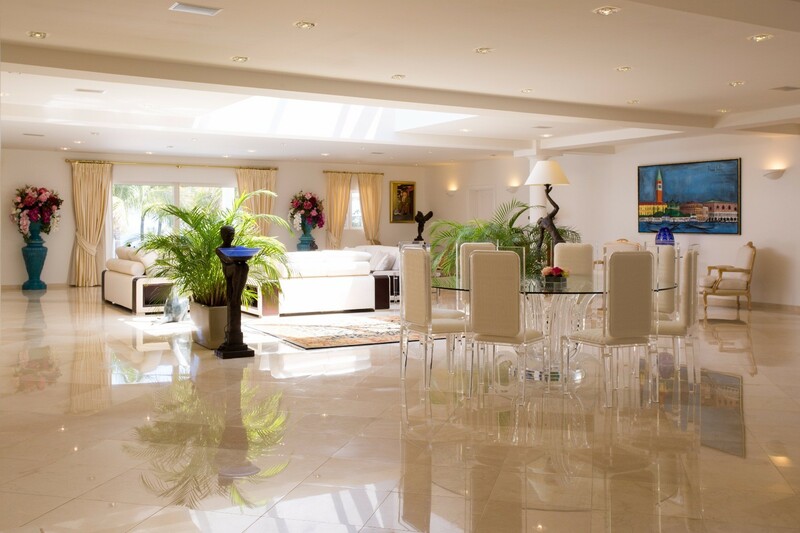 The interior spaces include a formal salon with entertainment system and office, a large casual living room (also with entertainment system), the dining room area that opens into a gourmet kitchen, and the fitness center. 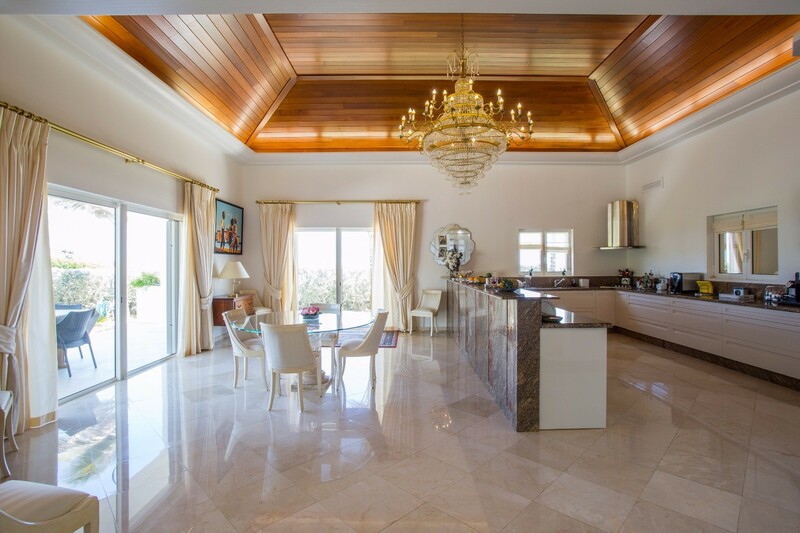 The kitchen is equipped with the latest appliances and it opens to the terraces to allow you to enjoy al fresco dining in many different places, or to simply prepare meals without missing a moment of the scenery. 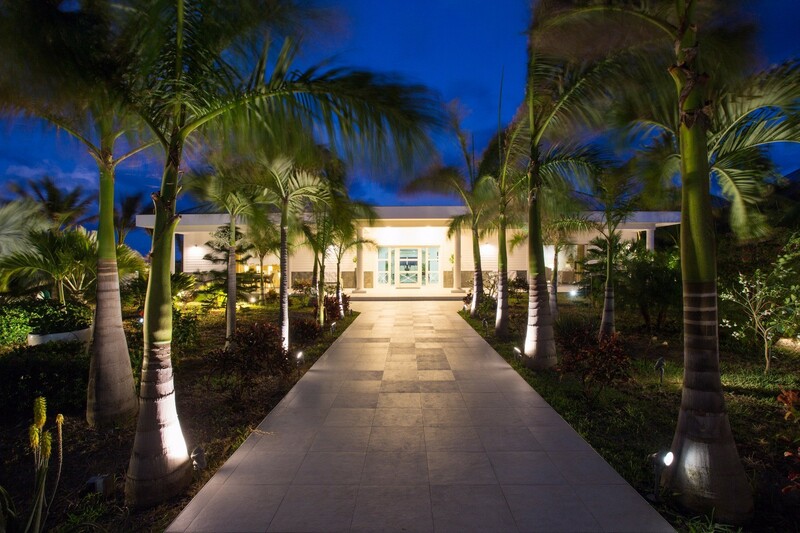 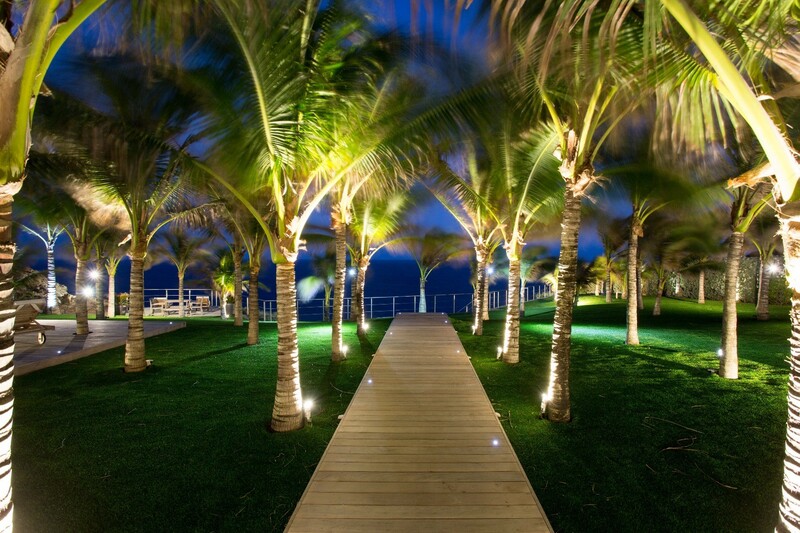 Of course, it is the outdoor settings that are such an amazing part of your stay in this villa. 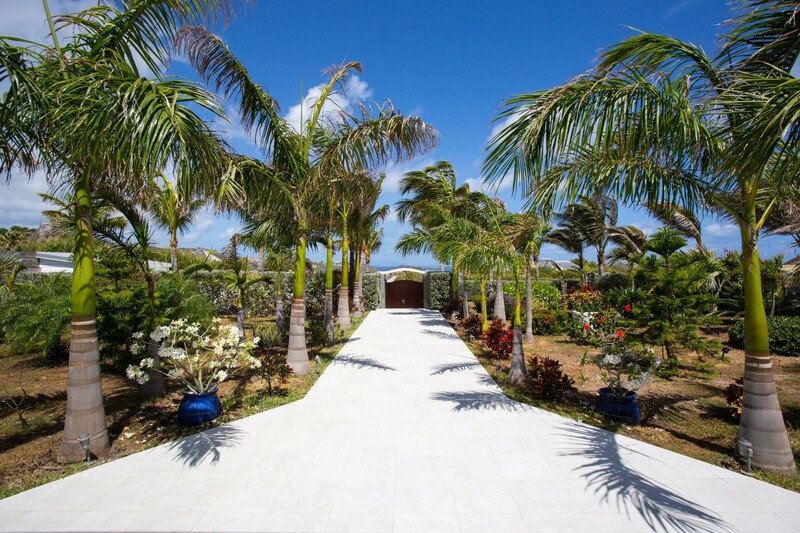 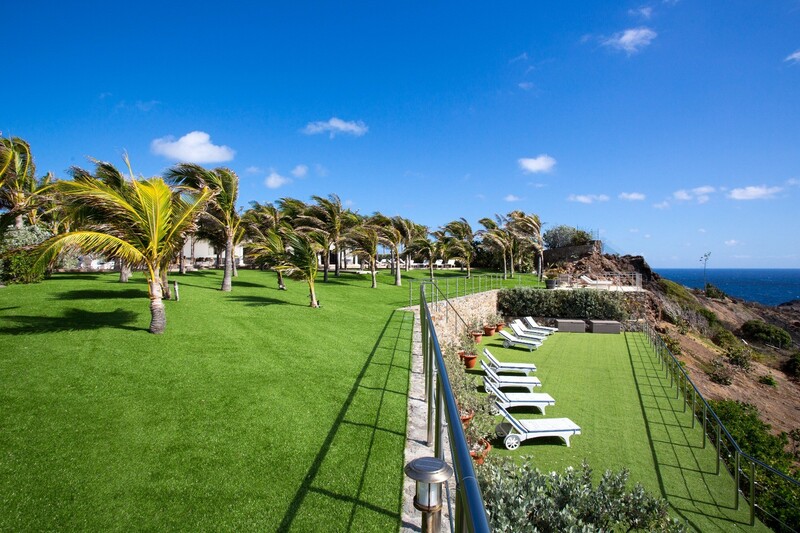 A private sunbathing area is tucked into the palm grove, several walks and paths lead you along the sea or through the grounds. 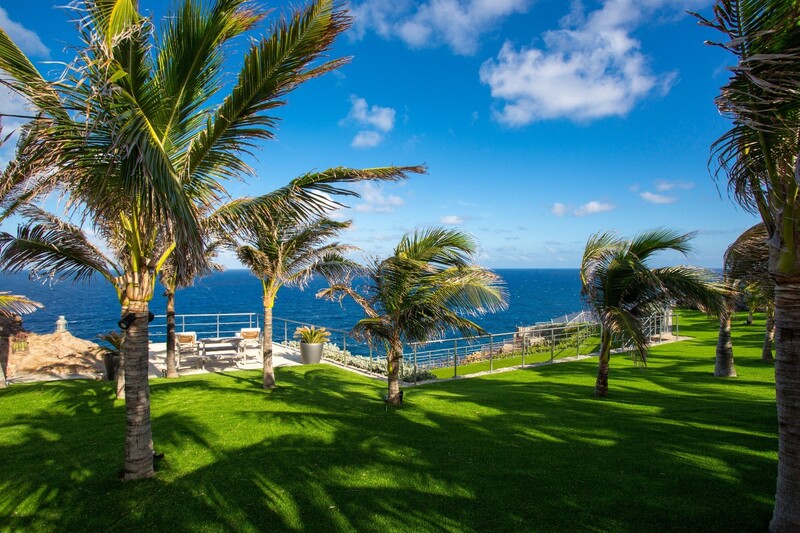 There is the enormous pool that is also surrounded by lounging areas and al fresco dining spots, and you will want to experience them all whether it is for a sunset viewing or a full night under the stars. 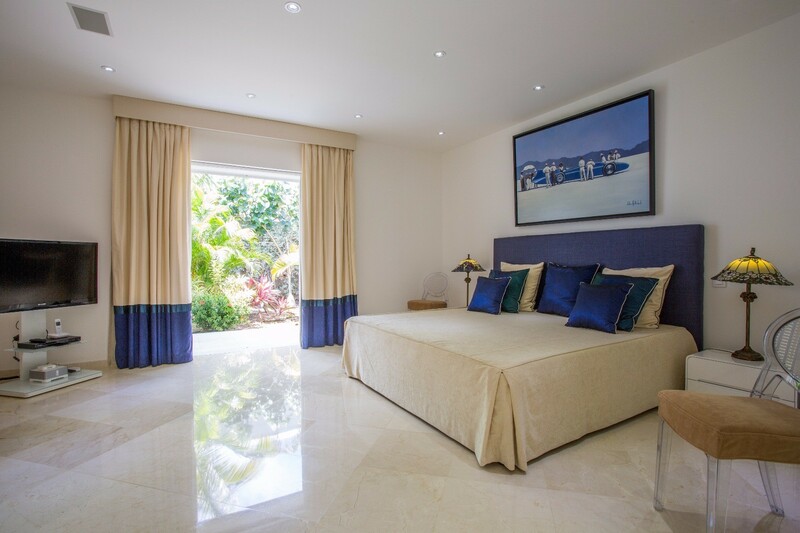 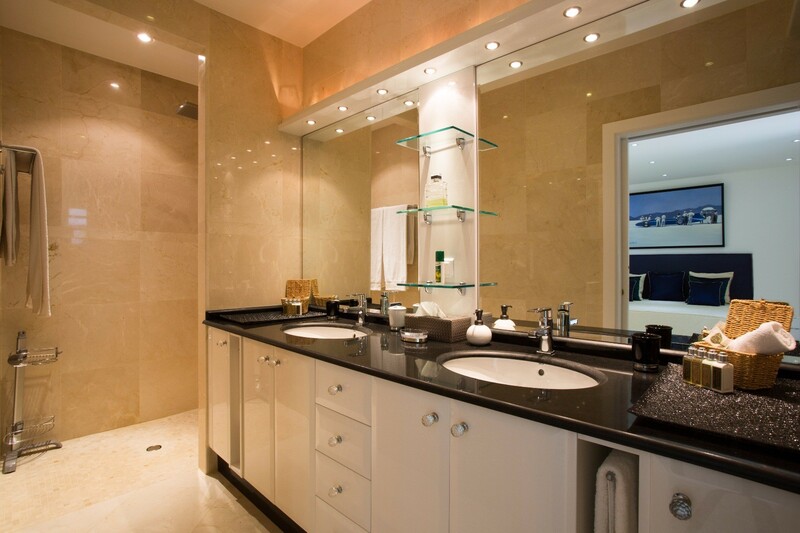 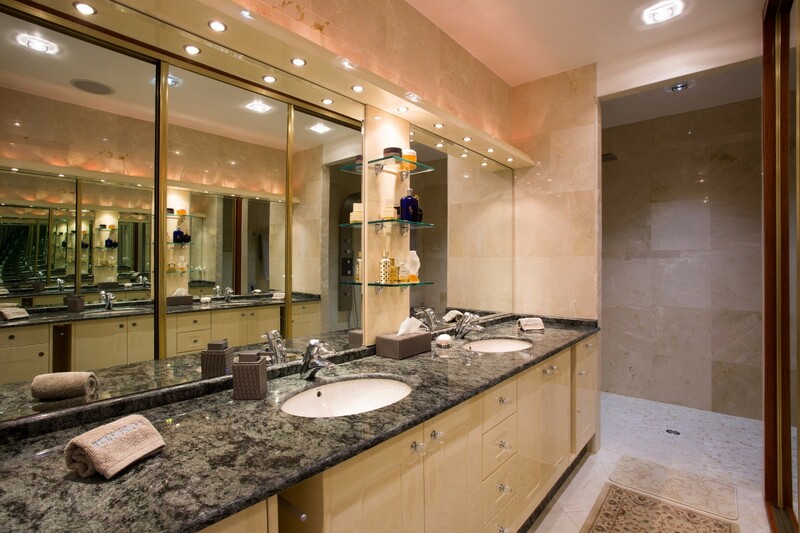 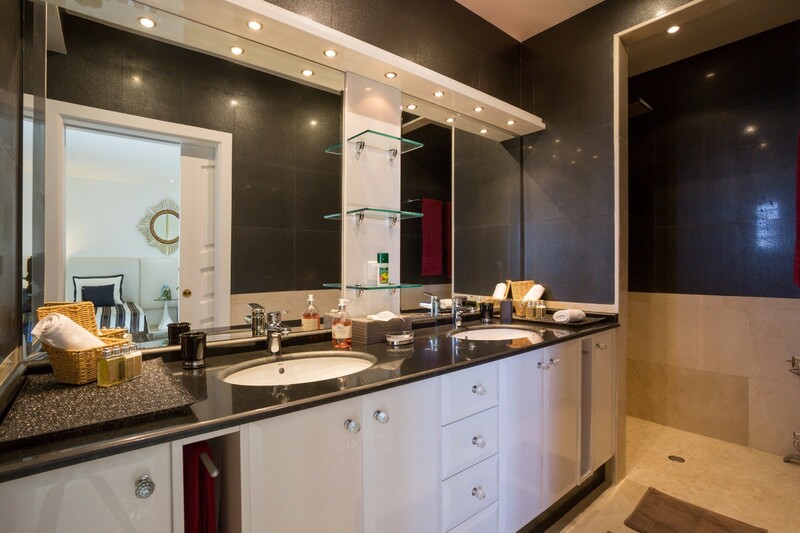 Naturally, the luxurious bedroom suites are also going to provide a welcome retreat. 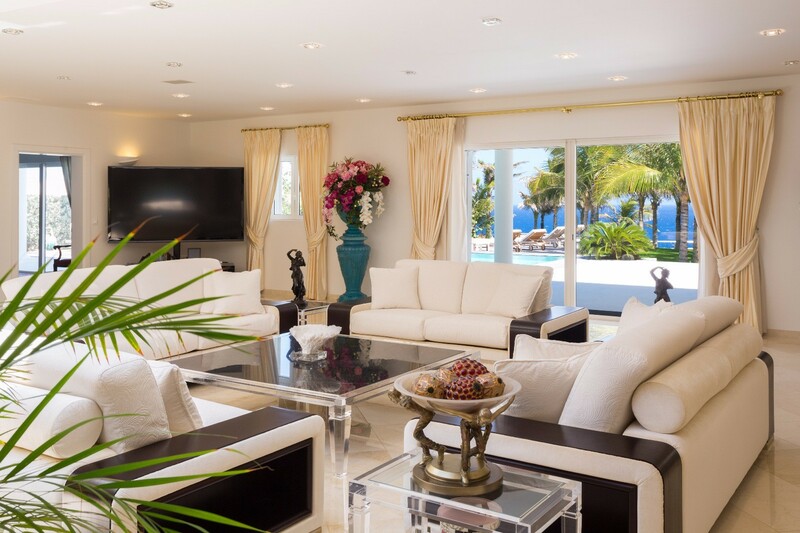 Each is decorated with unique art and innovative colors. 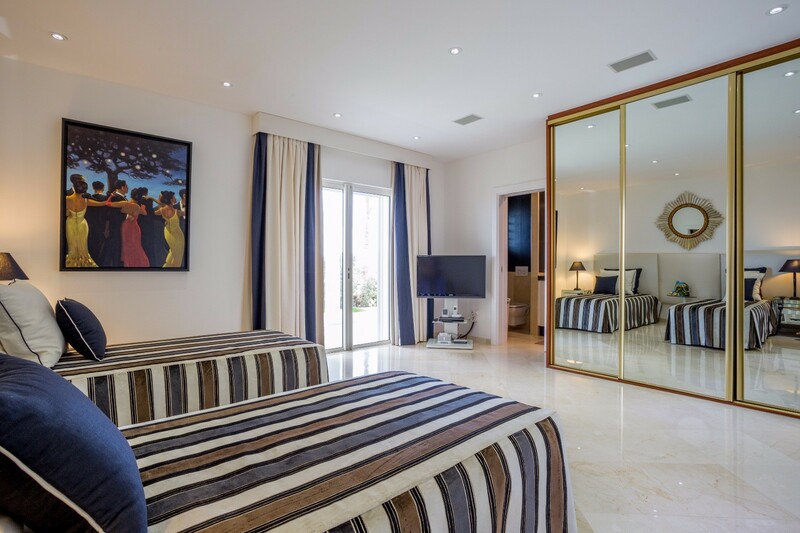 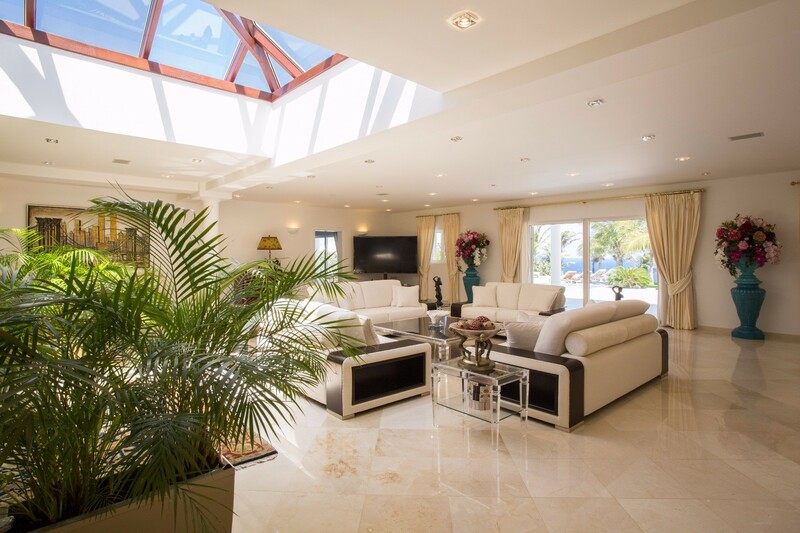 Each is a king suite with large private bath, and each has private access to the gardens or terrace, making the Villa Good News a great find for groups or a large family. 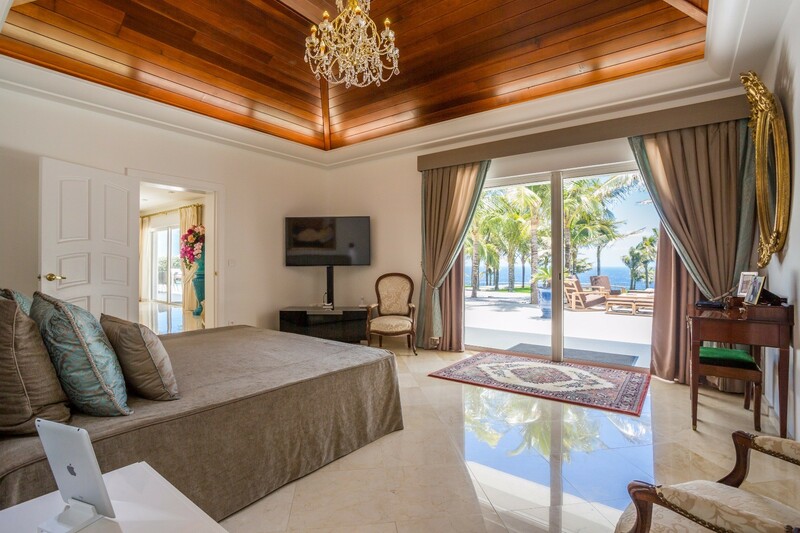 Book your stay in villa Good News and receive free breakfast, plus daily maid service, turn down service and butler during Christmas and New Year 2019/2020.